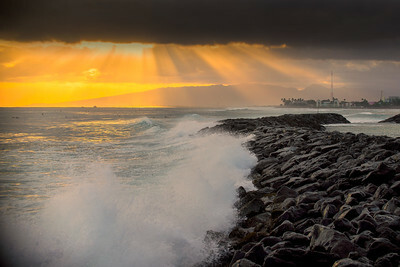 The one sunset that I really managed to get to shoot was on our first night in Hawaii, when I noticed from about one mile away, that these breakwaters might be kind of interesting. Well worth the half hour work from the hotel. Oahu, 2018. 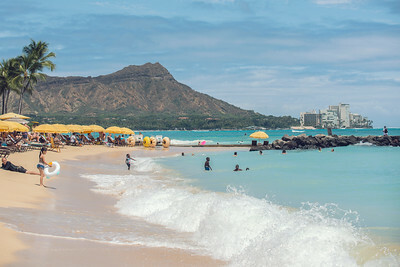 There had been a storm off New Zealand that had sent 11 second period swell waves all the way across the Pacific to Hawaii, and this was the result; overtopping of the breakwater in Honolulu. 2018. 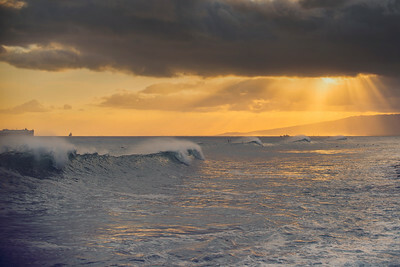 The surfers were out for the big swell waves hitting the Hawaiian coast and the sunset just made the scene all the more worthwhile the half hour walk to get to this breakwater. 2018. 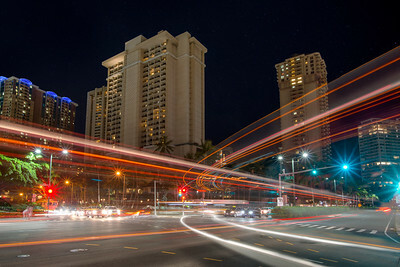 A long exposure of the resort of Waikiki, looking out towards the Pacific Ocean from the Hawaiian island of Oahu. 2018. 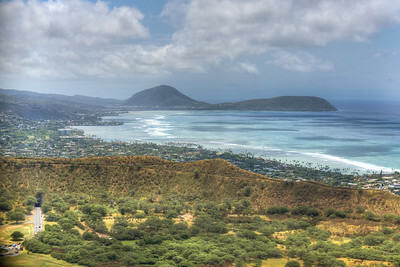 Looking south from Diamonhead Crater towards the southern coast and headland of the Island of Oahu in the Hawaiian islands. 2018. 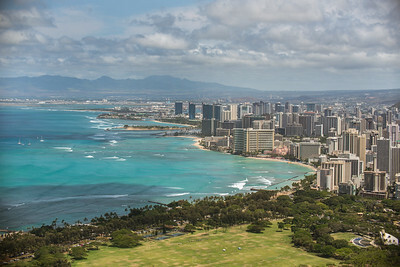 A view of Waikiki and Honolulu from the park of the Diamond Head crater - a 500 ft hike from the basin of the inside of a dead volcano on Oahu Island, Hawaii. 2018. 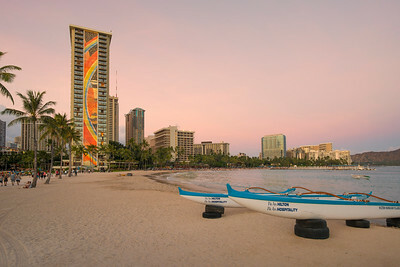 This is Waikiki, a built up area south of Honolulu, home to a bunch of high rise hotels on the magnificent (but engineered) Pacific coast beach. 2018. 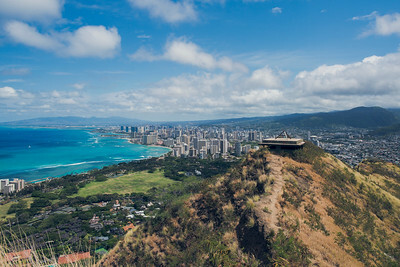 Looking south from peak of the Diamond Head crater towards the Pacific coast headlands on the Hawaiian island of Oahu. 2018. 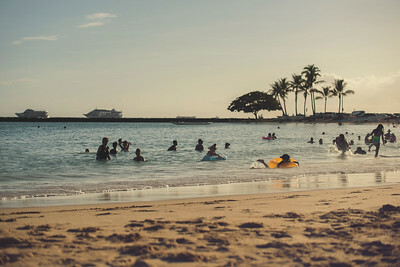 I just love the color of the water in Hawaii. Of course it's all because of the reflectivity of the sand as much as the cleanliness of the water, but it just makes for idyllic conditions for a summer holiday. Hawaii, 2018. 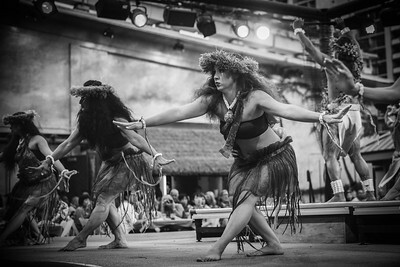 A really great Polynesian Luau, the performance was fantastic, but the rest of the event was ore forgettable. Oahu, 2018. Really enjoyed this Hawaiian Luau at the Hilton Grand Village resort in Waikiki, Oahu. Performances were fantastic, but the food and the trimmings, not so much. 2018. 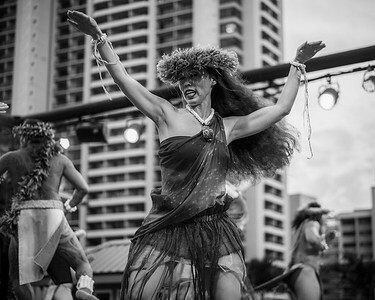 Some of the performances in this Waikiki Luau were really top notch, particularly this woman was alway very graceful in every move. 2018. I'd fully recommend a Luau if you visit Hawaii, but it would've been better if it had been a little more traditional in terms of the setting, rather than on the roof of a car park. The performances, though, were fantastic. 2018. 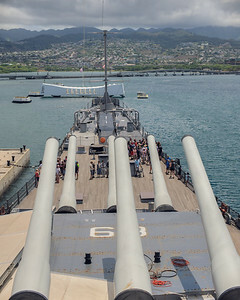 The view of the USS Arizona's grave, from the bridge of the USS Missouri in Pearl Harbor - two vessels that bookended the United States' involvement in the Second World War. Hawaii, 2018. 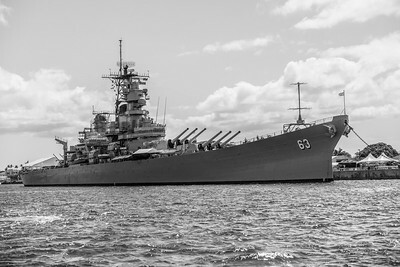 The USS Missouri, the navy vessel that was the scene of the Japanese surrender making the end of WWII. Seen here decommissioned in Pearl Harbor, bow to bow with the doomed USS Arizona. 2018. 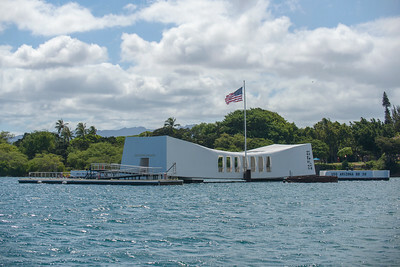 The USS Arizona Memorial, inaccessible at present, but still a poignant reminder that so many people lost their lives in the attack which precipitated the US involvement in WWII. Pearl Harbor, 2018. 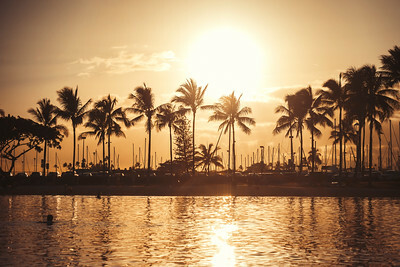 The sun starts to set on the Waikiki Beach near the Hilton resort. A nice, safe, little stretch of the beach protected somewhat by a nearshore reef, but still with some nice waves for the children to play in. 2018.
f/3.5 and 1/8000s exposure was enough to produce this nice colourful silhouette of the palm trees lining the lagoon at the Hilton Grand Village resort in Waikiki, Hawaii. 2018. 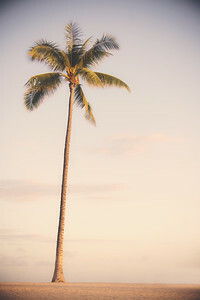 A lonely palm tree (actually one of many out of shot) on the beach at Waikiki on Oahu, taken at sunset near the Hilton resort. 2018. Hilo Bay, from my perspective it seems that it being on the "rainy side" of Hawaii is the biggest feature of the landscape. I was only there for one night, though, so maybe I wasn't being fair..... 2018. 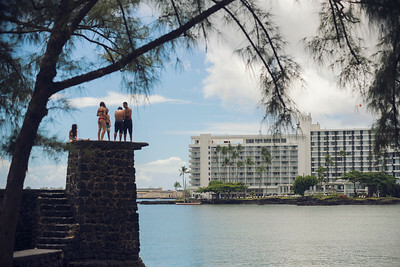 Once being the rainy side of the island, the sun dos come out and the kids get the chance to soak up the sunshine and jump off this masonry tower. 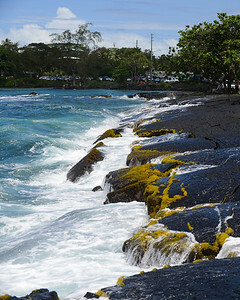 Hilo Bay, Hawaii. 2018. 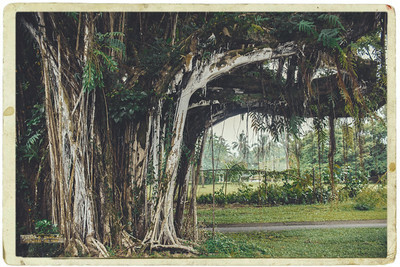 The Banyan Trees, which i thought was an Indian Restaurant back home, are very common in Hawaii. They are very impressive and I did manage to convince my son they were called "ghost trees". Just for fun. 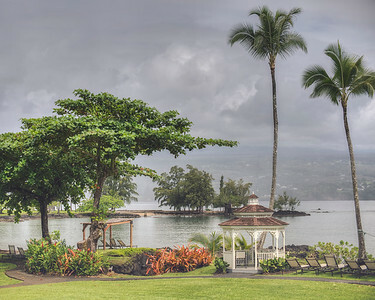 Hilo, Hawaii, 2018. 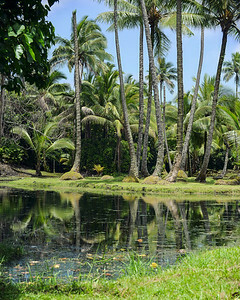 Assumed this was a freshwater cove on the coast in Hilo, Hawaii, but it did look absolutely idyllic. The greenery and the hint of blue sky made for such a magnificent sight. 2018. I just love the big Pacific waves, even when they break and disappear on the lava shorelines; the blue hue is just mesmerizing. 2018. 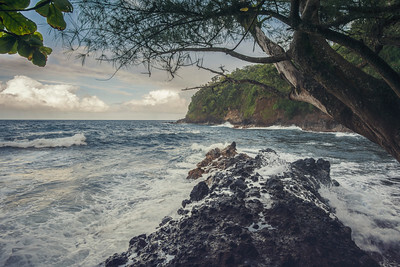 I really wanted a shot of the powerful Pacific ocean waves crashing in on the Hawaii shoreline, and it took a long walk down a steep slope to get it in Onomea Bay. 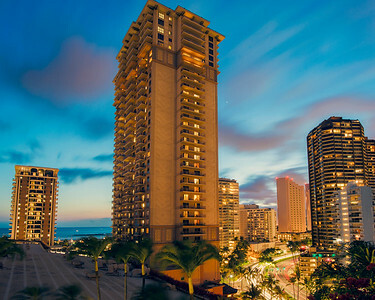 Tha Kalia Tower, our resort accommodation during our stay in Waikiki, on the Hawaiian island of Oahu. 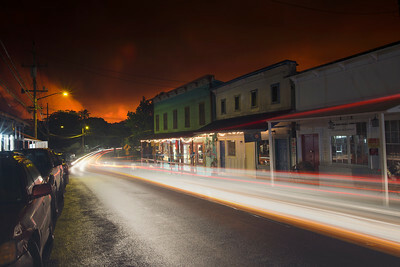 This is a long exposure taken from across the street, hoping to capture the busy nature of this resort location. 2018. 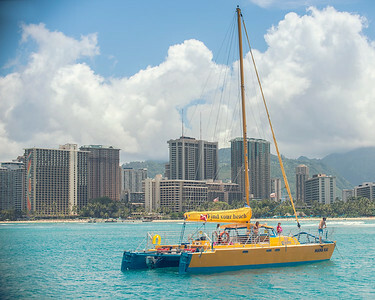 Truly great experience going offshore in the catamaran sail boat to experience the rolling swell waves of the Pacific ocean first hand. 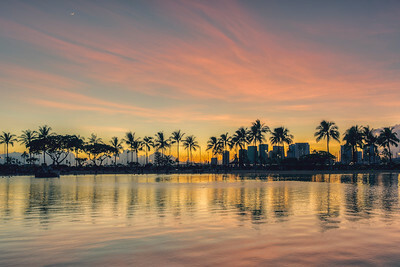 Oahu, Hawaii, 2018. The Hilton Grand Village resort on the shoreline of Oahu, near Honolulu in Hawaii. 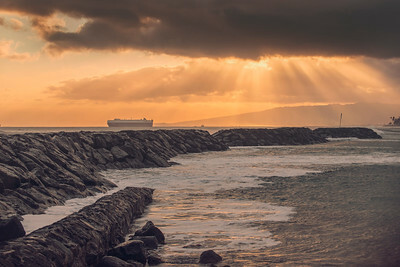 Taken at sunset. 2018. 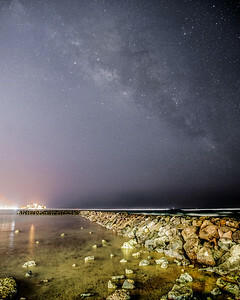 A 15 second, f/2.8 and ISO 3200 exposure of the Milky Way, looking out over the breakwater at Waikiki, on the Pacific coast Hawaiian Island of Oahu. 2018. 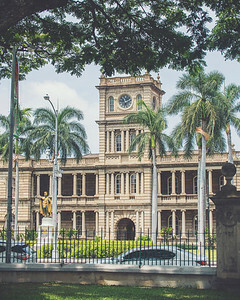 A state building in Honolulu, across from the Ionali Palace. 2018. 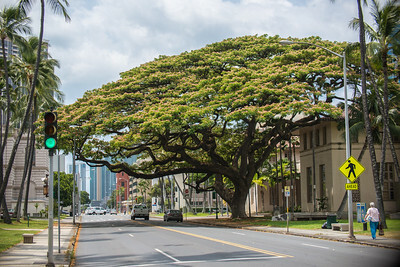 Not sure what this tree is called, but its sweeping canopy is very distinctive and appears very common in Hawaii. 2018.